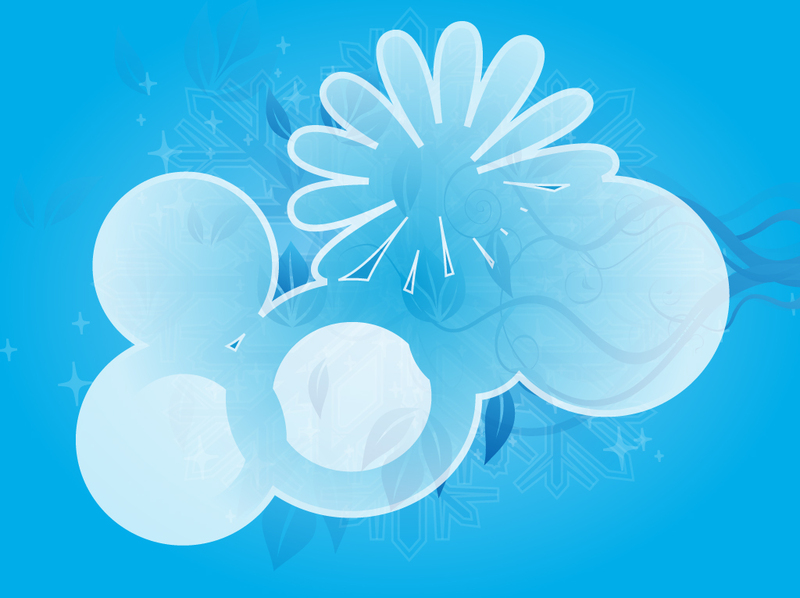 Icy blue vector background with diamond shapes stars, scrolling vines, snow flakes and abstract flower shapes. Tones of blue and white graphics create a beautiful setting for your winter greeting cards, merry Christmas promotions, New Year cards and holiday season calendar designs. Tags: Christmas, Cold, Frost, Greeting Card, New Year, Snow, Winter, Wishes.